As part of the 2019 International Congress on the Enlightenment, we are excited to be offering daily plenary sessions exploring the key themes of the congress. 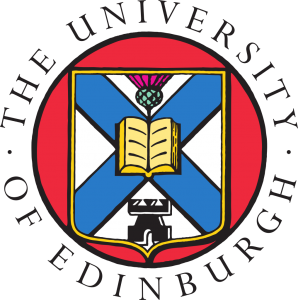 In a break with tradition, plenary sessions at Edinburgh will each feature two or more speakers, in both English and French, and summaries of the talks will be provided in both languages. Read on for details of our plenary topics and speakers. Tatiana V. Artemyeva is Professor at the Herzen State University of Russia, and Director of Research Programmes at the St Petersburg Centre for the History of Ideas. She has also held Visiting Fellowships in Finland, Germany, Scotland, and the USA. Her research focuses upon the history of ideas and intellectual communication, with key publications (in Russian) including From the Glorious Past to the Bright Future: Philosophy and History of Utopia in Russia in the Epoch of Enlightenment (2005); and, jointly authored, The Reception of British Social and Philosophical Thought in Russia, 1799-1900 (2006). Sébastien Charles is Dean of Research and Innovation at the Université du Québec à Trois-Rivières and, before that, taught at the Université de Sherbrooke, Canada. Since 2015, he serves as an elected member on the ISECS Executive Committee. His research interests cover ethics, epistemology, and metaphysics during the seventeenth and eighteenth centuries, analysed notably from the perspective of early modern scepticism. Relevant publications include, co-authored, Hume et la religion (2013); Berkeley Revisited: Moral, Social and Political Philosophy (2015); and, jointly authored, Voltaire philosophe (2017). 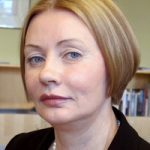 Deirdre Coleman is Robert Wallace Professor of English at the University of Melbourne, has served as Vice-President of the Romantic Studies Association of Australasia (RSAA), and held Visiting Fellowships in the UK and Sweden. Her research interests are wide-ranging, encompassing slavery, colonialism, science, racial ideology and women’s travel writing. Key publications include Romantic Colonization and British Anti-Slavery (2005); as editor, Minds, Bodies, Machines, 1770-1930 (2011); and Henry Smeathman, the Flycatcher: Natural History, Slavery and Empire in the Late Eighteenth Century (2018). Penelope J. Corfield is Emeritus Professor at Royal Holloway, London University, Visiting Professor at Newcastle University-UK, and Senior Vice President of the International Society for Eighteenth-Century Studies. Her research interests focus upon eighteenth-century social, cultural, urban and electoral history, plus the challenges of interpreting the long term. Relevant publications include Power and the Professions in Britain 1700-1850 (1995); Time and the Shape of History (2007); and, with Charles Harvey and Edmund Green, Elections in Metropolitan London, 1700-1850 (2013), 2 vols. Sutapa Dutta is Professor of English at Gargi College, University of Delhi, India; and she is the first President of the new India Society for Eighteenth-Studies (founded March 2017). She studies the interplay between literary, cultural and social history in the context of Indian and British colonial and post-colonial encounters. Her essays range from a study of historical novels in India, to cultural assumptions within East India Company guidebooks, and within British missionary handbooks to Bengal. Sutapa Dutta’s monograph, entitled British Women Missionaries in Bengal, 1793–1861, appeared in 2017. Toshio Kusamitsu is Emeritus Professor at the University of Tokyo and was Helen Cam Fellow at Girton College, Cambridge. He has also taught at the Open University of Japan and at Japan Women’s University. His research focuses upon the social, economic and cultural history of modern Britain, and he is particularly fascinated by the novels of Jane Austen. His publications in both English and Japanese are wide ranging, including studies of Medievalism in Nineteenth-Century Britain, the Empire of Botany, and the Historiography of Britain post-1700. He is currently studying the history of British life-writings. Thomas Munck is Professor of Early Modern European History at the University of Glasgow. He favours comparative studies as the best way of elucidating trends/contrast in European social, cultural and political history. Relevant publications include The Enlightenment: A Comparative Social History, 1721-94 (2000) and Seventeenth-Century Europe: State, Conflict and the Social Order in Europe, 1598-1700 (2005). He is now studying the inter-connections between public opinion, political culture and print, 1650-1800, with particular reference to Britain, France, the north-German lands and Scandinavia. Silvia Sebastiani gained her doctorate at the European University (Florence); before becoming Associate Professor in the Centre for Historical Research, within Paris’s École des Hautes Etudes en Sciences Sociales (EHESS) – and Visiting Fellow at Princeton’s Institute for Advanced Study (2017-18). Her research encompasses cultural and intellectual history, history of knowledge and historiography, as well as attitudes to ‘race’ and sexuality. She is author of The Scottish Enlightenment: Race, Gender and the Limits of Progress (2008 in Italian; 2013 in English); and co-editor of Simianization: Apes, Gender, Class, and Race (2015). Dena Goodman is Professor Emerita of History and Women’s Studies at the University of Michigan. 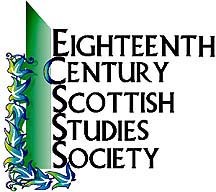 In 2016-17 she was President of the American Society for Eighteenth-Century Studies (ASECS) and currently serves on the ISECS Executive Committee. She is author of The Republic of Letters: A Cultural History of the French Enlightenment (1994); Becoming a Woman in the Age of Letters (2009); and many other studies of Enlightenment, women, and gender in eighteenth-century France. She is also Co-Director of the Encyclopedia of Diderot and D’Alembert Collaborative Translation Project (https://quod.lib.umich.edu/d/did/), housed at the University of Michigan. Maria-Susana Seguin is Professor at France’s University of Montpellier III; a Fellow at the Ecole Normale of Lyon’s Institute for the History and Representation of Ideas in Modern Times (IHRIM-ENS); and a senior member of the University Institute of France (IUF). She also serves on the Executive Committee of ISECS. Her many works on the history of ideas include, in French, Science and Religion in the Eighteenth Century: The Myth of the Universal Flood (2001) and, as editor, Robert Challe (2011). She is now active in a big international research project on pan-European scientific and philosophical networks. Antoine Lilti is Professor of History at the Ecole des Hautes Etudes en Sciences Sociales (EHESS), Paris, and former editor of Annales. His research embraces the social, intellectual and cultural history of the Enlightenment ; and key publications include Le Monde des Salons: Sociabilité et mondanité à Paris au XVIIIe siècle (2005) – in English as World of the Salons (2015); Figures publiques: L’invention de la célébrité, 1750-1850 (2014) – in English as The Invention of Celebrity (2017); and as co-editor (with Celine Spector), Penser l’Europe au XVIIIe siècle: Commerce, Empire, Civilisation (2014). Kate Retford is Professor of History of Art at Birkbeck College, University of London, and has held Research Fellowships at the University of Cambridge, the National Portrait Gallery, and the Paul Mellon Centre for Studies in British Art. She works on the intersections between eighteenth-century art and architectural history, social and cultural life, and portraiture. She has published The Art of Domestic Life: Family Portraiture in C18 England (2006); as co-editor, Placing Faces: The Portrait and the English Country House in the Long C18 (2013); and The Conversation Piece: Making Modern Art in Eighteenth-Century Britain (2017). 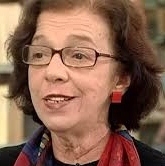 Maria das Graças de Souza is Professor of Ethics and Political Philosophy at the University of São Paolo; president of the Brazilian Association of Eighteenth-Century Studies; and member of the ISECS Executive Committee. Her research focuses upon Enlightenment thought, with special reference to theories of materialism; and the cultural thought of Baron d’Holbach and Denis Diderot. Her publications include Enlightenment and History (São Paulo, Discurso Editorial); Nature andthe Enlightenment: On Diderot’s Materialism (São Paulo, Editora Unesp); and (with P.P. Pimenta) the Portuguese edition of selected texts from The Encyclopedia (São Paolo, 6 vols). Anthony Pagden is Professor of Political Science and History at the University of California, Los Angeles; and has held posts at Cambridge University, the Warburg Institute (London), the European University Institute, and Johns Hopkins University. He studies cultural encounters between different peoples, as well as ideas of empire, nationalism and internationalism. Among his many books are The Enlightenment: And Why it Still Matters (2013); The Burdens of Empire: 1539 to the Present (2015); and, as editor, Facing Each Other: The World’s Perception of Europe and Europe’s Perception of the World (2017). All plenary sessions will be held in the McEwan Hall. Please consult the final congress programme for session times.